For the latest availabilty and to order – Please phone us on 01903 730089. 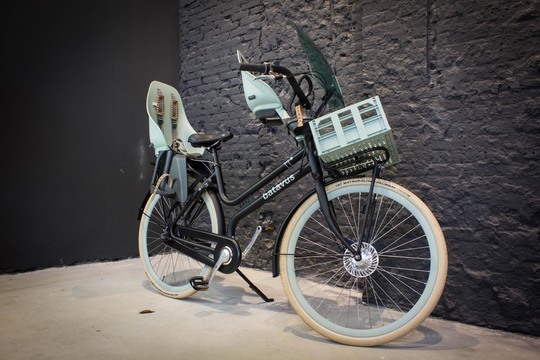 Super fun and really Quirky Dutch bike – Winner of the Netherlands Bike of the Year for 2016 – The Quip comes in two frame styles – Unisex and Gents with a cross bar and each model comes with a unique frame number built into the frame. 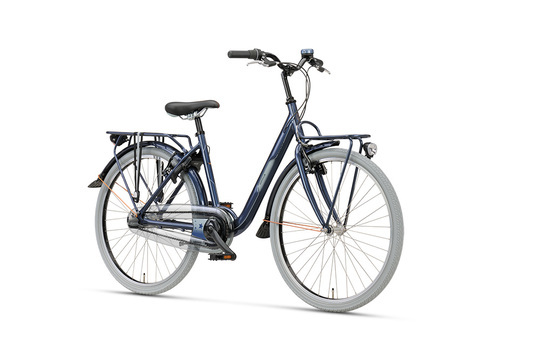 Centre Stand making the bike completely stable when parked ideal for load carrying – whether this be children or cargo . Front parking steering lock – this has been upgraded to a lever pull mechanism to make it easier to put on the steering lock if you’ve got a front child seat fitted. 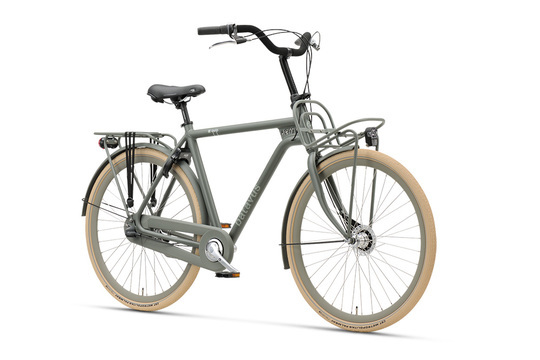 Quip Urban is only available in the colour above. All mounting brackets and fittigs needed to fit above. 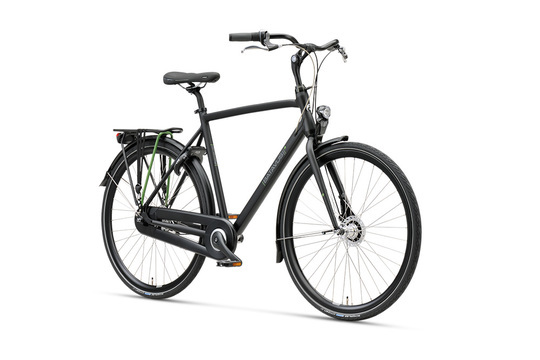 Colours – One colour as shown – black and seat colours as shown. All mounting brackets and fittings neededto fit above package. 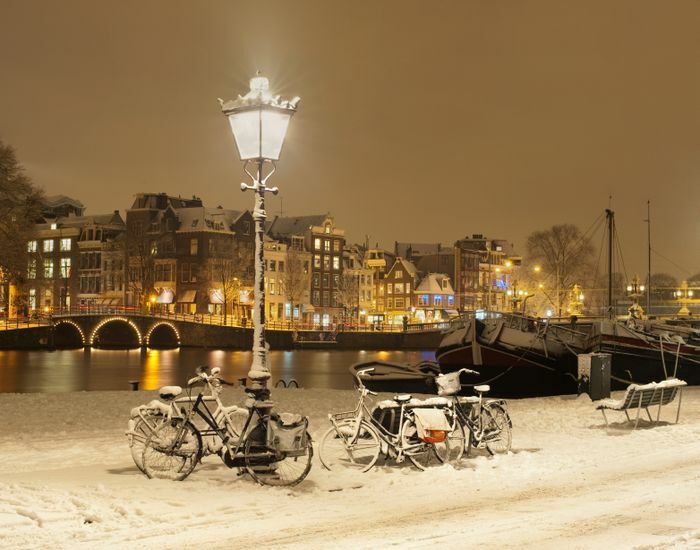 Also in colour ‘paars’ as above. 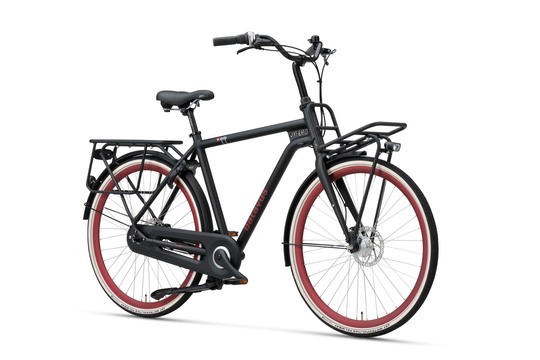 Available in black and red frame. Phone us on 01903 730089 to order. 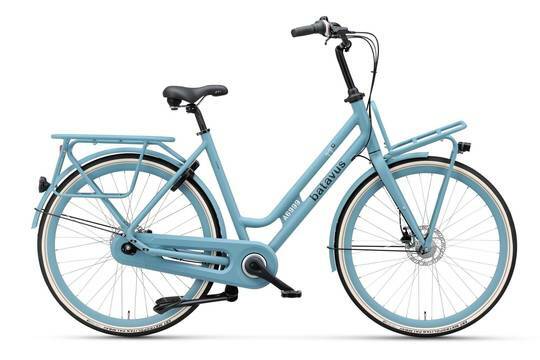 A great, no-nonsense Dutch bike with the benefit of 7 Gears, front rack and very attractive styling. The step-through model comes with a super-low step-through entry point. 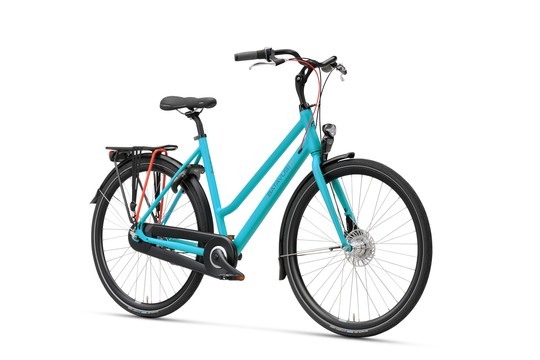 Two frame styles – step through or crossbar as below. 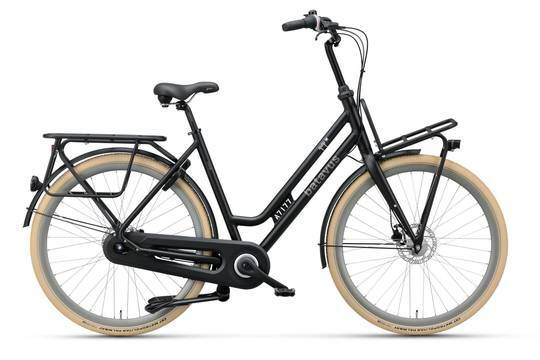 A great Dutch bike, the Batavus Dinsdag provides a super all round ride and is an ideal bike for city commuting and leisure riding. 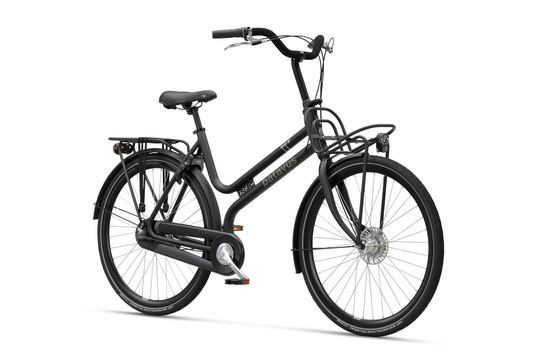 With the benefit of 7 Shimano Nexus hub gears, battery lighting and nice elegant styling, the Dinsdag is a real winner. 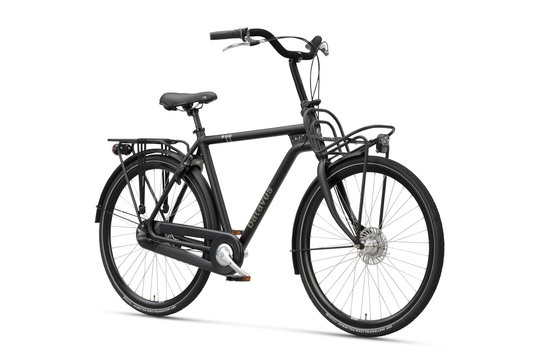 Batavus Dinsdag in matt black above. 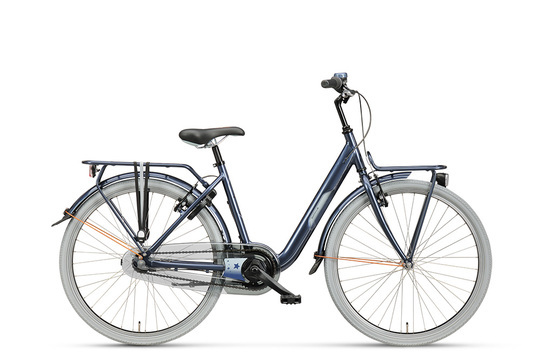 If you’re struggling to find a Dutch bike small enough, our Small Dutch bike is worth a look. 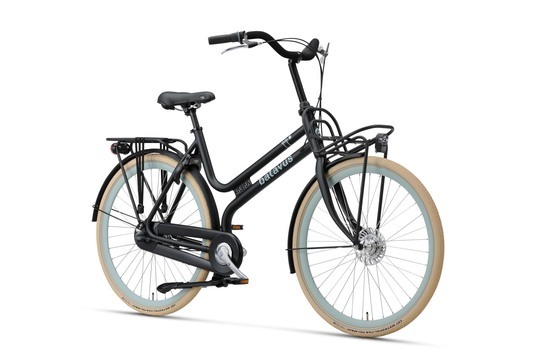 Built in a 43cm/17 inch frame, this elegant bike comes with the benefit of 3 gears and an exceptionally low step-through entry point. 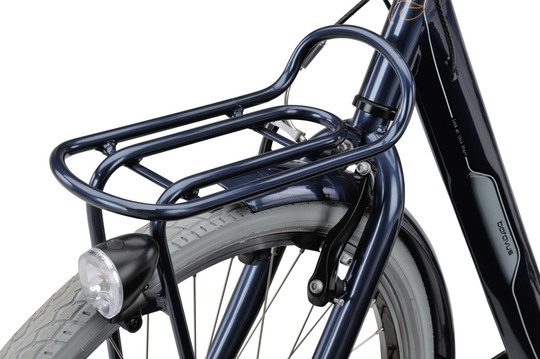 Front and rear carriers, lights, lock and a side stand. Colour – one colour choice, blue as shown. 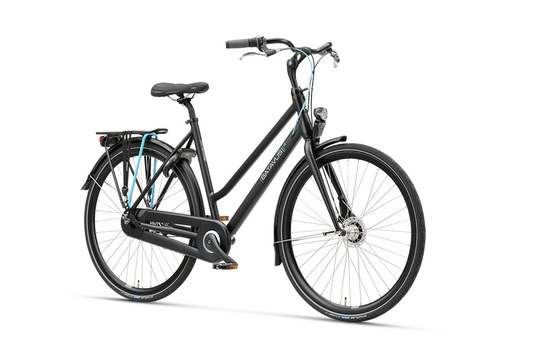 We sold a number of this model in 2017 and all customers without exception have been happy with this bike. 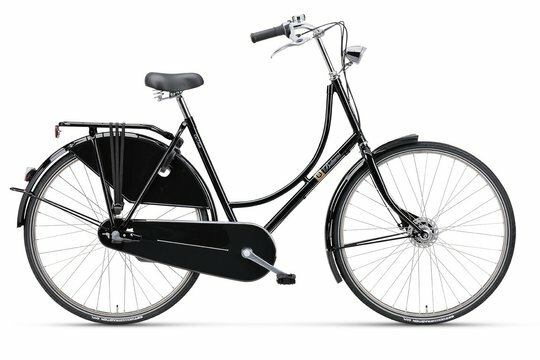 Although built by Batavus as a ‘children’s bike’, it is built to the same standards and build quality as an adult bike. 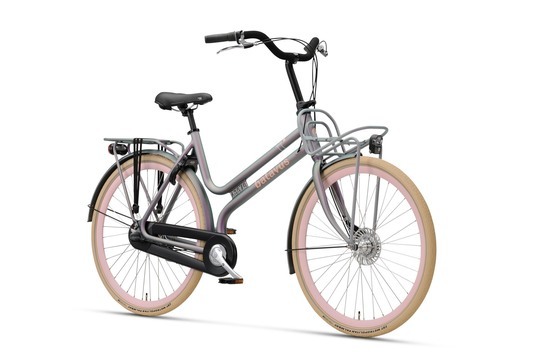 It comes with 3 brake systems – a front and rear V-brake and a Coaster/back pedal brake. 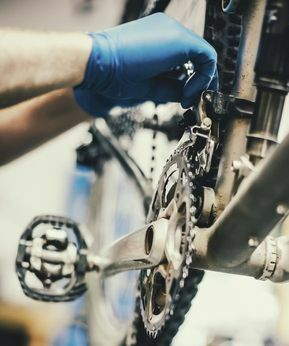 We can remove the coaster brake if you wish, leaving you with 2 V brakes. Telephone 01903 730089 to order. 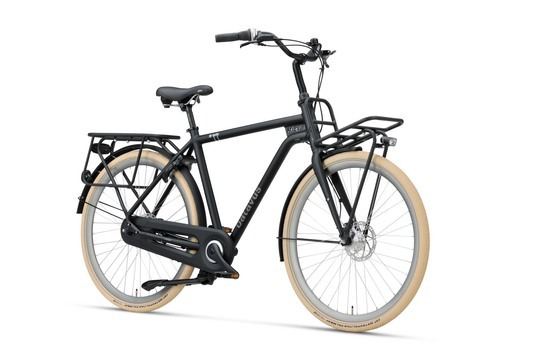 Great Dutch Bike for carrying children. 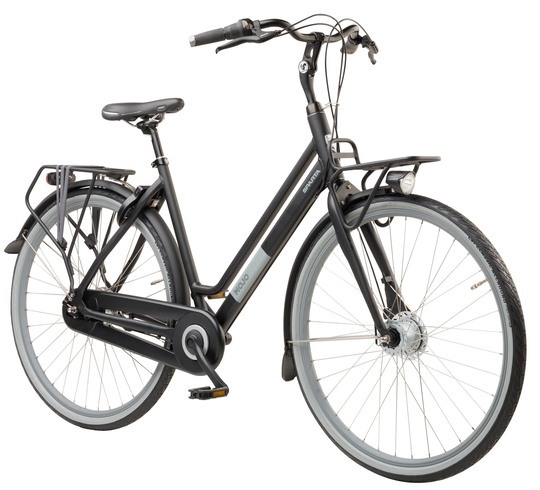 Batavus have teamed up with bicycle child seat specialists, Urban iKi to bring you a superb high quality bike with the benefit of being capable of taking a front and rear child seat with additional welcomed safety features including a robust centre stand and enhanced front steering lock to help reduce the risk of the falling over when parked and instances of the front handlebar rounding back on itself. 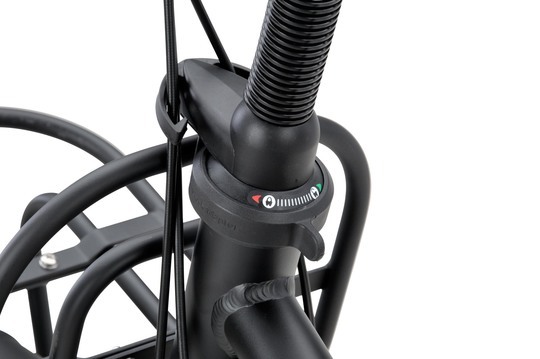 The front steering lock is enhanced over the standard steering lock supplied and fitted to the standard Quip. 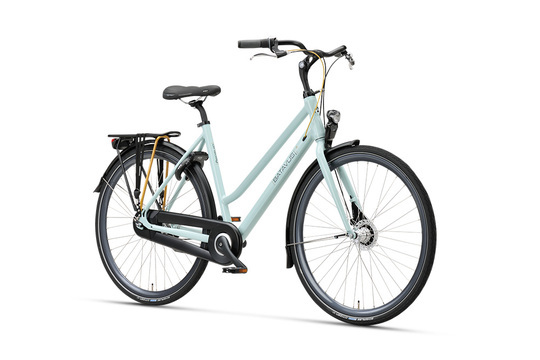 This clever locking mechanism is easy to use – just push the lever with your finger to lock or unlock and prevents the front handelbars rounding back on themselves when the front of the bike is loaded with your child and or, additional cargo. A centre stand helps provide additional stability when you’re parked and removing children from their seats. 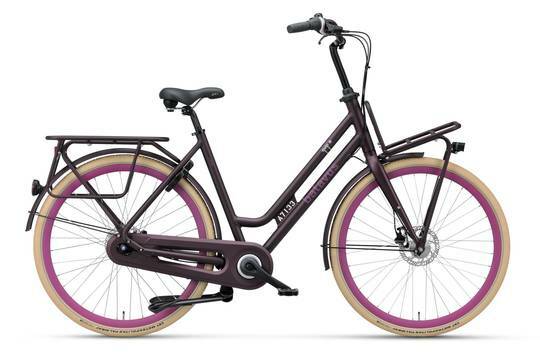 The Quip Urban iKi is an elegant bike – please note hese are stock pictures provided by Batavus and the side stand supplied is a centre stand and not side stand as shown in the above picture. Please note the crate is NOT included in the Package price. Front seats are designed to seat a child aged 9 months to 3 years. 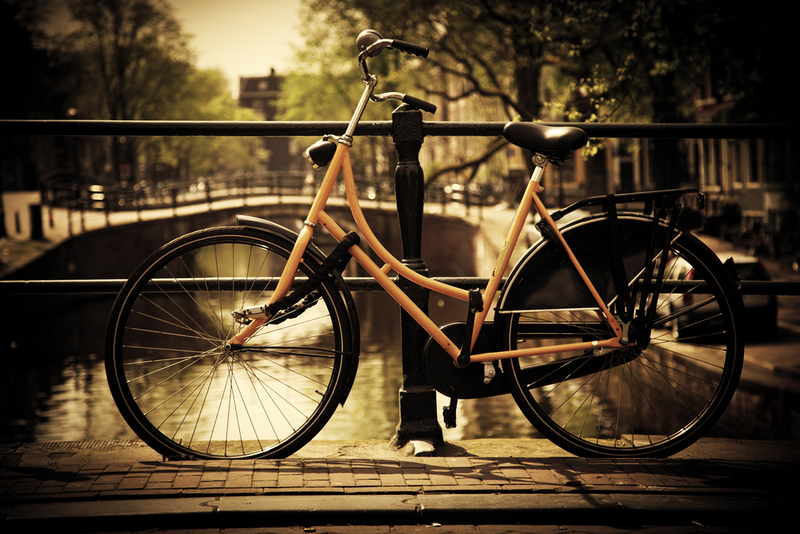 Bike frame size is built in 50cm – A rider will need a MINIMUM OF 29 INCHES INSIDE LEG MEASUREMENT TO RIDE THIS BIKE. 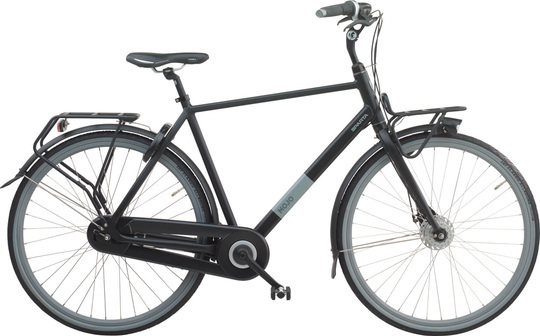 Also built in 56CM – A rider will need a MINIMUM OF 33 INCHES INSIDE LEG MEASUREMENT TO RIDE THIS BIKE. 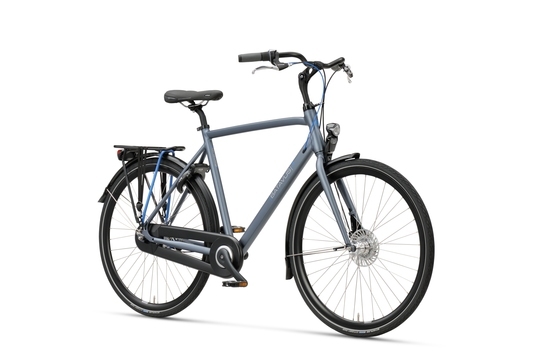 The Quip iKi is also available to order without the child carrying package – £749. 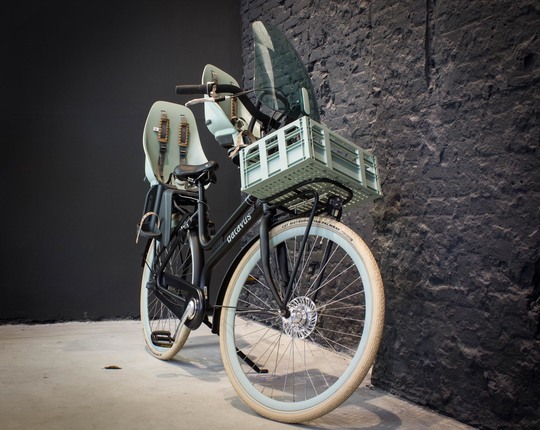 Please Note – We only supply these seats as part of the bike purchase package and are not selling the seats separately, and regret that we unable to give advice on whether these seats will fit your own bike. Call 01903 730089 for the latest availability.